Hundreds of nephrectomies [removal of kidney] have been performed in Bermuda over the years, however the Bermuda Hospitals Board [BHB] said they have now recorded the first case of a patient having the procedure done laparoscopically. 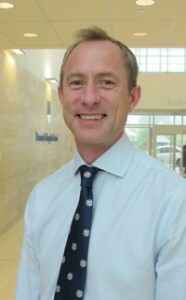 A spokesperson said, “Urologist Dr Gordon Kooiman joined BHB last December. A specialist not only in urology but also laparoscopic surgery, he quickly received a referral from another local urologist. “He [her urologist] called me up and said I should get a second opinion from Dr Kooiman at the hospital,” said Mrs DeSilva. Dr Kooiman said, “Removing a kidney via the laparoscopic [keyhole or minimally invasive] approach is available in most urology centres world-wide. “Three or 4 small 5-10mm wounds allow a camera and thin, long instruments to be used to free the kidney from the surrounding structures. The kidney is then removed by extending one of the small wounds. “In the case of Mrs DeSilva she spent only 4 days recuperating in the Acute Care Wing compared with a likely stay of 7-10 days if she had undergone open surgery.